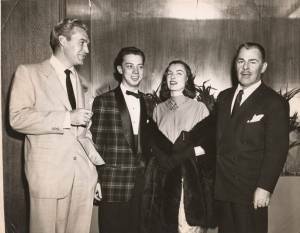 Here's a gallery of photos featuring Cy Coleman during his career, along with a few interesting shots related to the productions of his musicals. 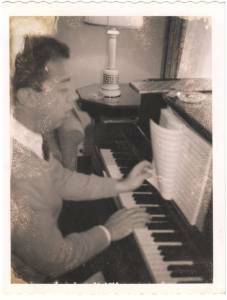 Note: The photo gallery is an ongoing project. Check back often for updates! 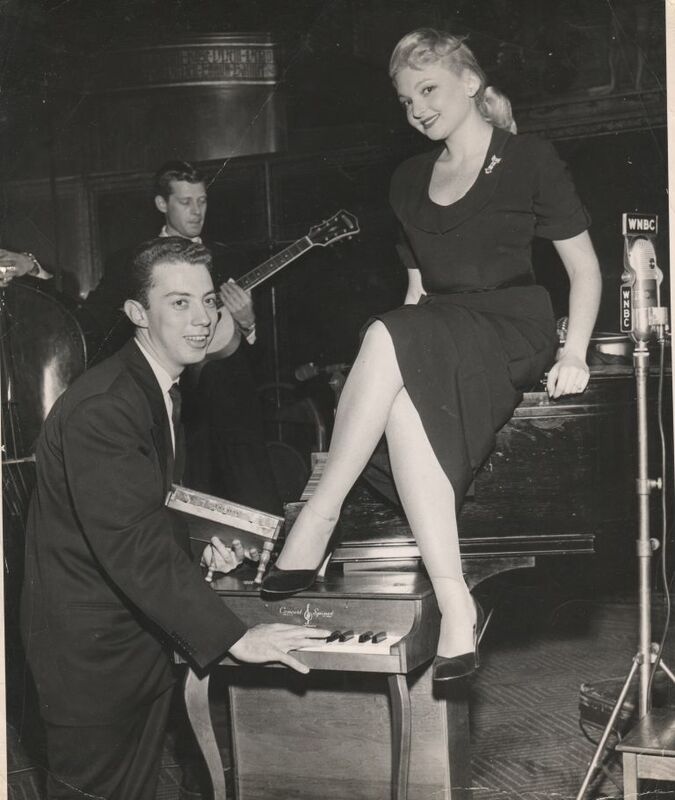 Cy, with an unknown performer, demonstrates his prowess on a toy piano at the Raleigh Room in New York City. 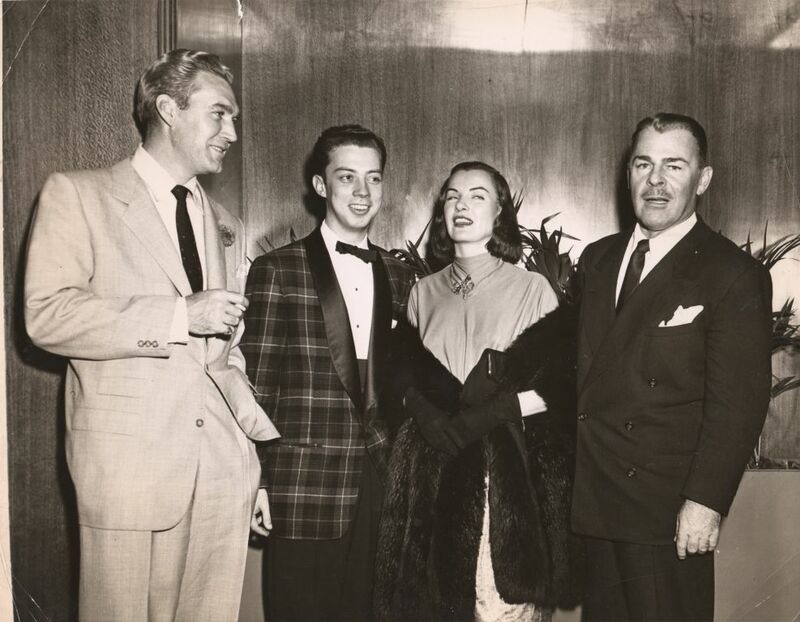 Forest Tucker, Cy, Ella Raines,and Brain Donlevy. 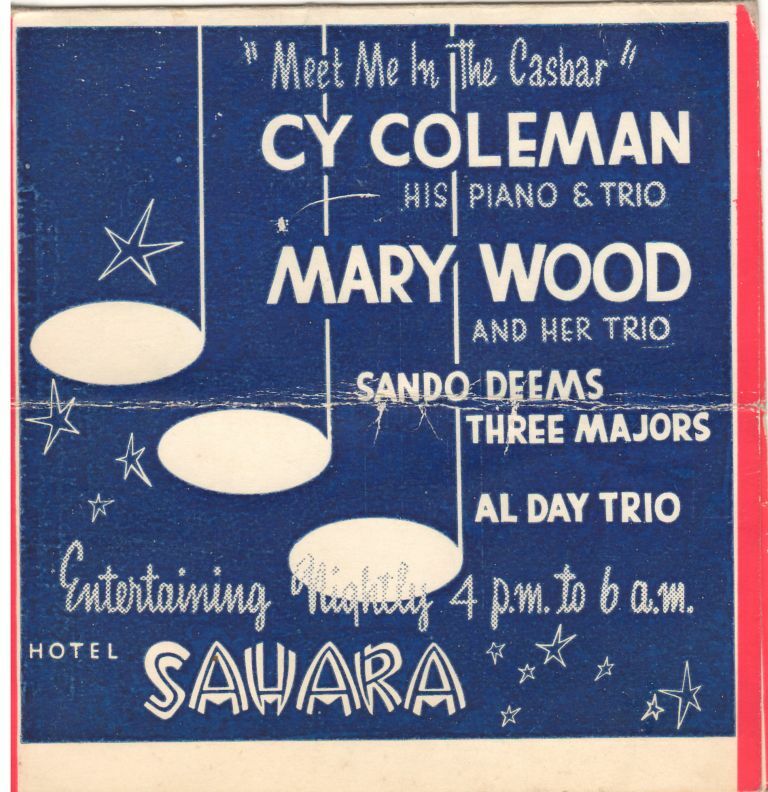 Promotional card for a gig Cy played in Las Vegas. Cy working at the piano at home. 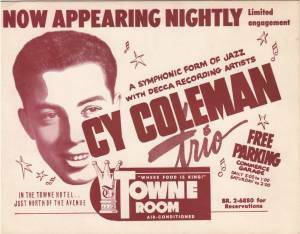 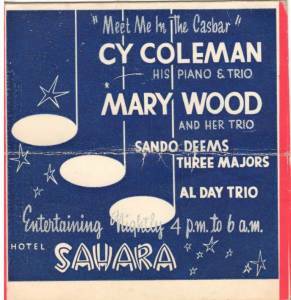 Promotional card for a gig Cy played at Chicago's Towne Room (circa 1952). 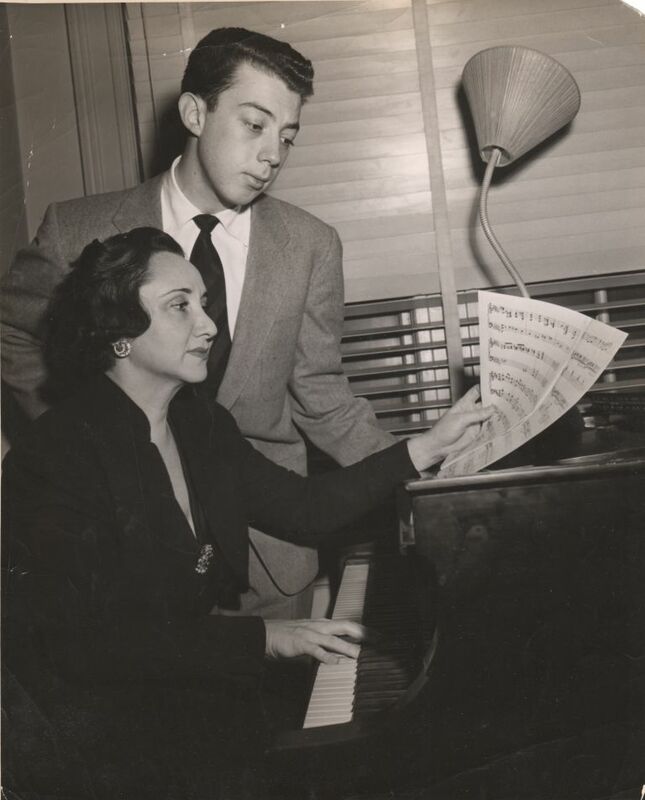 Cy working with his mentor, pianist Adele Marcus. 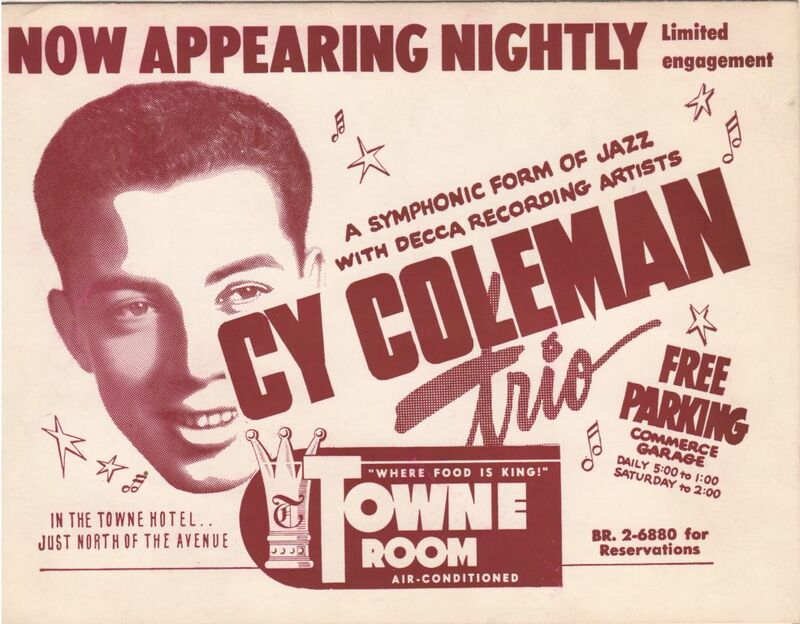 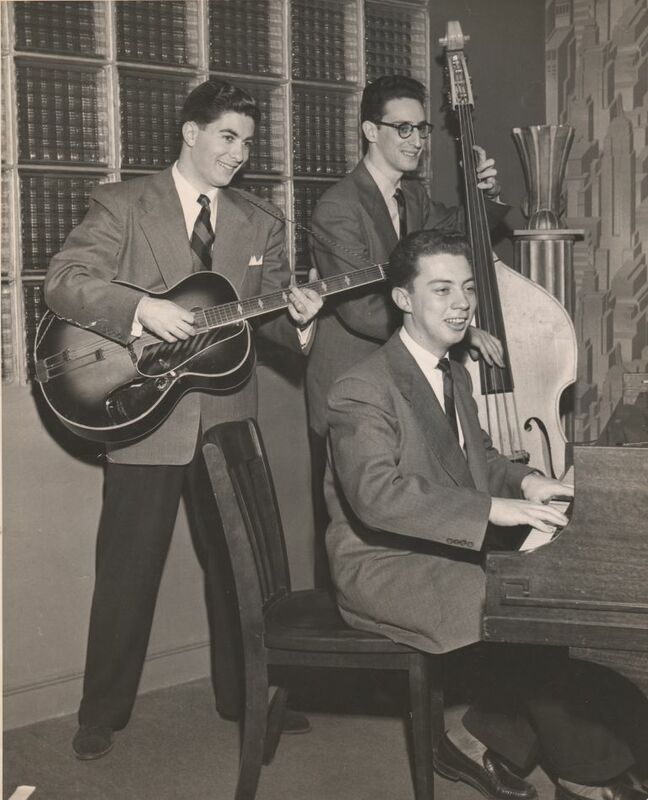 The Cy Coleman Trio at the Shebourne Lounge in New York City.